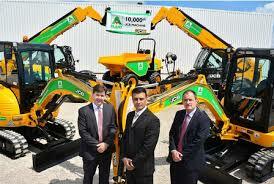 Looking to sell a Volvo digger or excavator? Do you have a Volvo digger or excavator for sale? Do you have a Volvo digger for sale? If so, you’re certainly in the right place. Sell My Digger offers those with extra digging and excavation equipment the chance to offload their unwanted machinery for cash. Whether you’re replacing your equipment with something newer, or are simply downsizing or have no use for this particular product any longer, fear not as you could soon be swapping it for some much-preferred cash instead. Volvo is a name normally associated with cars, however this brand is so established in the world of construction, it has its own separate arm devoted to digging, excavating and construction machinery the world over. Volvo offers a range of digger options, with hydraulic excavators in a range of models which can come with a variety of buckets and other attachments to help you get the job done right. Long lasting performance, longer reach, powerful strength and of course fuel efficiency are all things that users of Volvo excavators can expect as standard, and are the reason why we take such an interest in purchasing these machines at Sell My Digger. So if you have any Volvo excavators for sale, whether a single digger or multiple units, be sure to contact us today through our dedicated email or telephone number. Alternatively why not request a free valuation from us today? There’s no obligation and it only takes a few minutes to fill out the form. 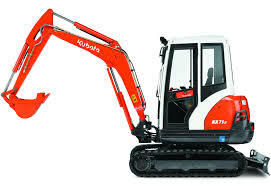 All we need from you is some details about the digger itself, such as make, model and prior usage, and some photos if you have any. From this we’ll be able to offer you a fair quote with a cash price in line with the information provided. Then it’s up to you to make the final decision which could see your load lighter and pockets heavier in a blink. Simply fill in the Request a Valuation form now and we’ll be straight in touch to value your Volvo Digger or Excavator!